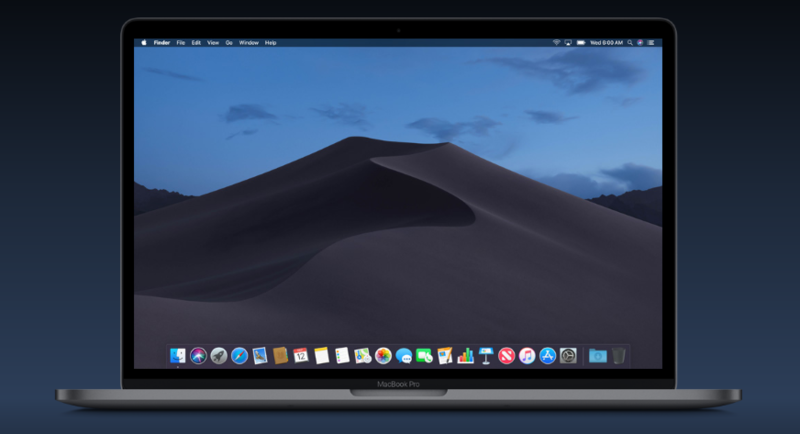 At its annual fall presentation, Apple announced the start date of the macOS update to version 10.14 Mojave – September 24th. Are you a Mac user, yet the update went over your head? Here’s a quick guide on how to get your Mac updated. To download the update, you’ll need some room on your Mac. Apple recommends that you free up at least 20 GB. The size of the remaining space in your storage is displayed in the “Storage” tab of the Apple menu > “About this Mac”. There are also recommendations for optimizing the storage. Updating the operating system is a complex process, during which failures can occur. An error can lead to the loss of important data stored on the computer, so it is recommended that you create a backup of your OS before updating. This is what the Time Machine utility is for. If you connect an external drive, the application itself will prompt you to use the disk for backup – just activate the “Encrypt backup disk” checkbox and click on the “Use as Backup Disk” button. To start Time Machine yourself, go to the Apple menu> System Preferences> Time Machine. On Macs running OS X El Capitan or later, the macOS Mojave will download in the background, after which the user will recieve the installation notification. If this does not happen or an older version of OS is installed on the Mac, it is possible to download Mojave manually in the AppStore in the Updates tab or in the Apple> About This Mac> Software Update menu. After the download is complete, the operating system will launch the installation wizard, which will help you install the update. ← Can a Tablet Replace My PC?